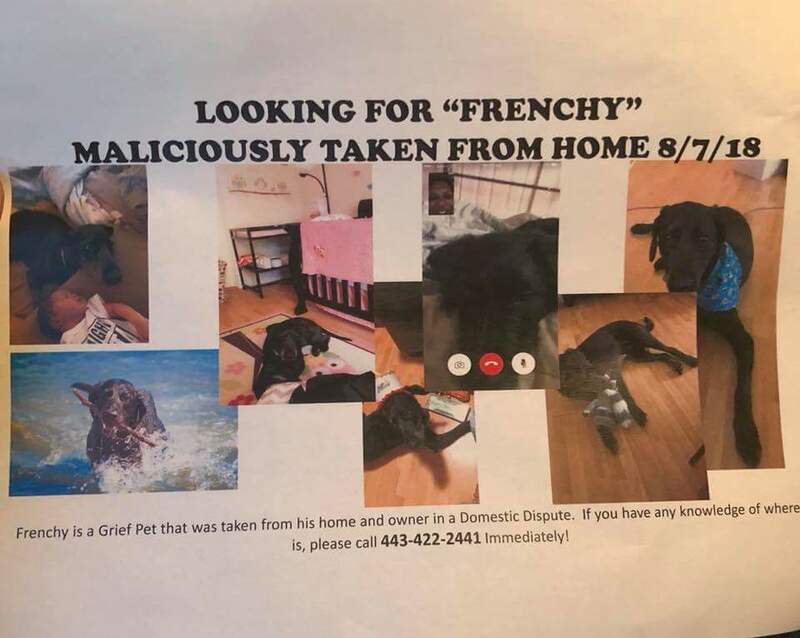 A friend’s soon-to-be ex-husband kidnapped her dog and dropped him off in the middle of DC Tuesday afternoon. We are thinking maybe NW. She had recently lost her mother and her preemie twins, so Frenchie has been everything to her. She just found out her husband has been cheating on her. Her dog, Frenchy, has been her rock. He is a black golden doodle and micro-chipped.